Happiness maybe the most important value on earth –it’s actually hard to be happy when things come crashing down and when life’s seems on the edge of tension and stress. Nonetheless, staying happy is essential to our health and sometimes is the only thing we need to turn things around. The pursuit for happiness is not that difficult of a struggle that is if we put more effort into it. There’s no secret to it, really –the only thing that stands in your way to achieving happiness, is yourself. Worry not, there are tricks into achieving happiness and staying happy. One of the easiest way to be happy is to stay fit –when a person is fit, his body and mind could handle stress and tension effortlessly. Moreover, when you exercise the body releases the serotonin and endorphins that trigger the same feeling with being happy –these neurotransmitters regulate the body’s sleeping and eating habit as well as our mood. 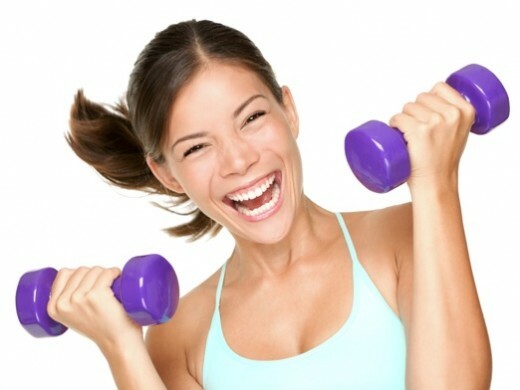 Following a healthy lifestyle may be the key for achieving happiness –such that being physically fit could improve one’s confidence level, hence a step closer to achieving happiness. Put it simply, doing the things that make you happy will surely get your mood up and you’ll be smiling in no time –but try to do these things with someone, your family or with a special person. Being social also adds up to your confidence level as well as having the chance to have more friends –No man is an island, so start grabbing friends on your own path to happiness. Surround yourself with true friends and always try to open up any problems with them –listening and smiling to them will make it easier you to be more likable and admired. Having a light stroll in a park, gazing upon the sunset, and waking up early to catch the dawn –these activities could give anyone a sense of wonder. Start each day with something wonderful like hugging your parents early in the morning, calling a friend you have lost in touch with for years, or setting a date with your beloved. All of these will put a smile in your face and melt your anxiety and depression away – So be happy! This entry was posted on Friday, June 20th, 2014 at 7:37 am by Editor	and is filed under Health and Wellness. You can follow any responses to this entry through the RSS 2.0 feed. You can skip to the end and leave a response. Pinging is currently not allowed.